Taigen Hand Painted Battle Tanks! We have received new batch of Taigen battle RC Tanks. The finish is very realistic, you can say these models have seen a battle or two plus the attention to detail is unbelievable. I must say I am really impressed with these tanks and the improvements which have been made on the previous (first model), much better more realistic paint job (matt finish – the previous had a semi-sheen to it, and better weathered look), maneuverability & speed is slower but more realistic due to the additional weight of the full metal versions–( approx. 7kg) compared to all other Taigen tanks. We have currently 7 radio controlled tanks from Taigen in stock raging from £84.99 to the full metal pro model worth £179.99! 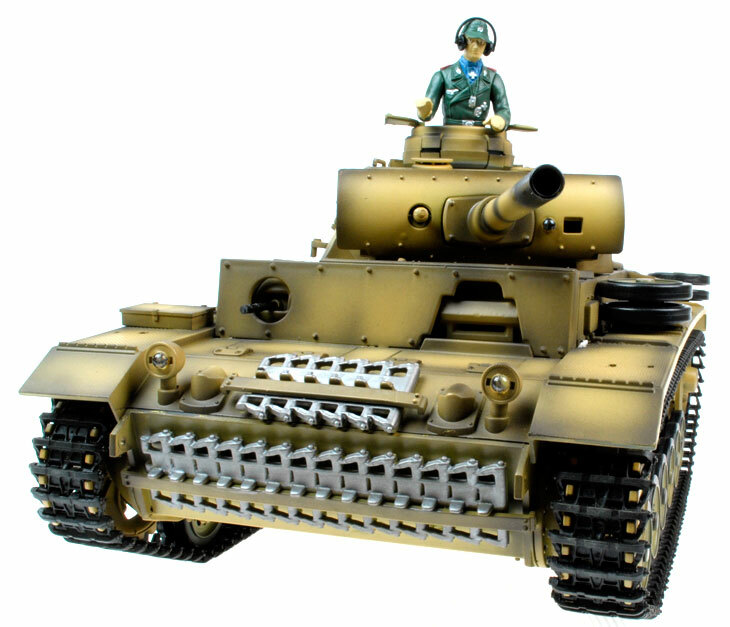 The second category of RC tanks is Taigen Hand Painted – Metal Upgrade. The Metal upgrade Taigen Tanks are equiped with metal tracks, sprockets and gearboxes, for increased durability and reliability. 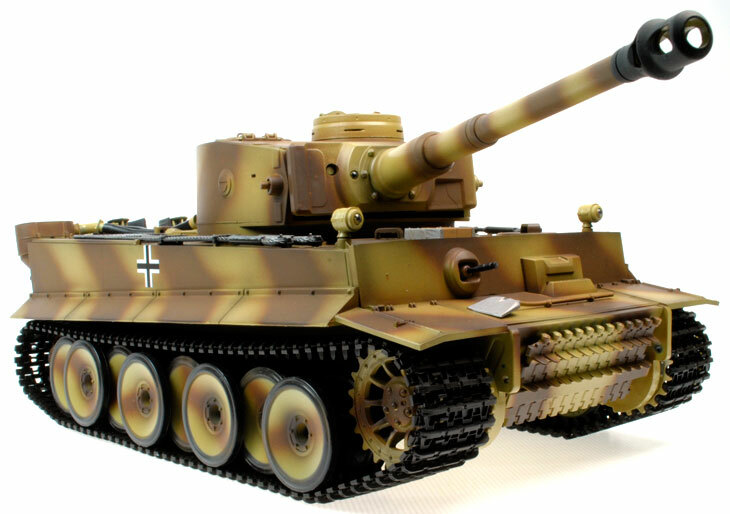 The third category of RC tanks is Taigen Hand Painted – Full Metal Upgrade. The Metal upgrade Taigen Tanks are equiped with metal tracks, sprockets, gearboxes and full metal body, This are the best spec models on the market! Acme RC Trucks; CopterX and Esky Helicopters; and Henglong Tanks Arriving Soon! We’ve got a lot of new stock arriving over the next three weeks, and are replenishing supplies of some out of stock models. First in are the E-sky helicopter range, these are extremely popular and sell out very quickly so if you want a Honey Bee or other E-sky model, then be sure to order as soon as possible as these will sell out! Later in the month the CopterX helis will be back in stock too, and these are built to an amazing standard using aluminium, plastic and on the top of the range models some components are carbon fibre offering unrivalled strength and lightness, at incredible value for money! Our new CopterX 450 Pro Torque Tube is available in RTF format and offers an alternative to our belt driven helicopters. A torque tube does have a few distinct advantages over a belt driven tail system: Once installed, no further adjustments will ever be required; More precise transfer of torque to the tail rotor. There is no give in a torque tube. A torque tube can actually reduce the tail damage during a minor crash since the torque tube actually increases the rigidity of the tail boom slightly. Some people prefer torque tubes, others prefer belt drive, it’s all down to personal preference which is why we’ve decided to give you the choice! We’re also expecting a large shipment of our ever popular Acme rc cars at the end of June, along with all the favourites we are adding two new models to our range: the Mighty truggy and the Trooper Truck. The ACME Mighty is a fully built, fully featured, top of the range 1/8 scale off-road truggy, and comes with many feature enhancements to make this great looking car not only look the part but ‘be’ the part! This is the Pro version and it is fitted with high quality components, is 4WD and equipped with a powerful .25 nitro engine! The Mighty is built using advanced components and innovative engineering to get the best performance out of your package. It has a newly developed C-hub steering system, where the king pin axis extends to the wheel centre (see picture right) this feature improves steering performance. It has a specially designed suspension system, with twin adjustable rear suspension modes which allows for a flexible driving mode and a smooth driving mode. Available from our web site for just £189.00 – a £20 pre-order saving – as soon as these arrive they will be priced at their usual £209.00, so pre order and save now! Brushless motor systems are a new technology that until recently have only been available as upgrades for normal rc cars. This is because to have a brushless setup not only requires the brushless motor but also a brushless ESC, li-polymer battery and special li-polymer charger which are all very expensive and would cost hundreds of pounds. Then came some brushless 1:16 scale brushless models that due to there smaller size only needed a smaller brushless motor etc so could be priced at a realistic level. Here we introduce the 1:10 scale brushless truck – the Trooper; this has a big brushless motor and 11.1V Li-Polymer battery so it will go unbelievably quickly. This is a big model and is as long as some of our 1/8th models and at £169.99 on preorder you save £20, so if you want to get your hands on one of these, click this link and reserve yours! Last but by no means least we’ve got some more of our Heng Long tanks coming in. 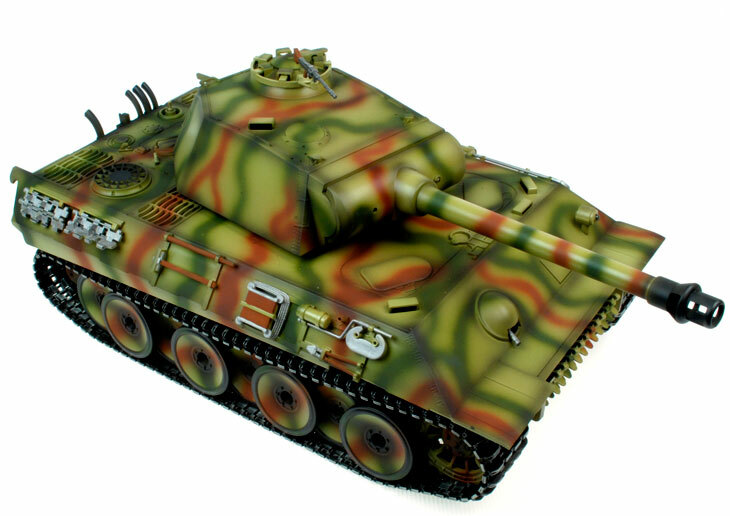 These tanks are built to a high level of detail and although they arrive pre-painted and with a range of decals, many people like to personalise them with their own paint schemes and these are ideal for people who want to do this. To find out more about our tanks please click here, there’s money to be saved by pre-ordering these models too! 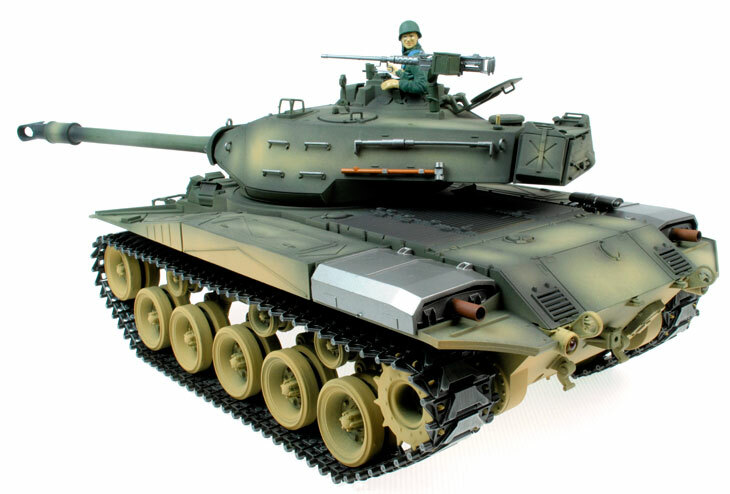 Today we thought that we’d highlight this superb remote controlled tank for you. 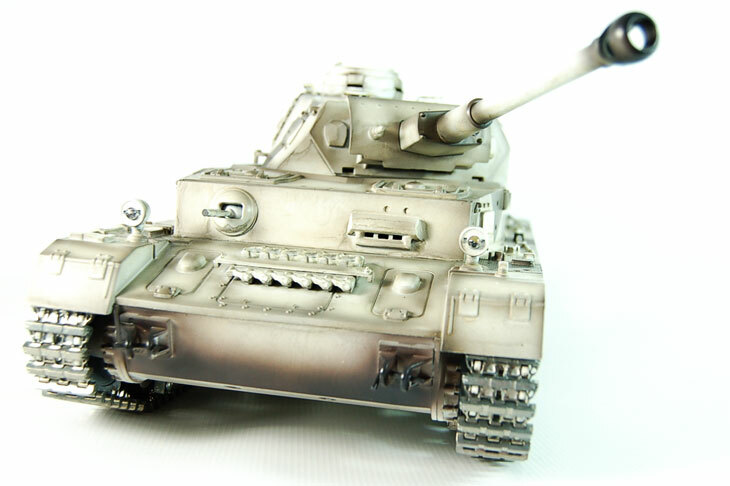 This is one of our 1/16th scale tanks and it is meticulously finished, with all the original details. It sits in the upper middle end of our range and is perfect for the militaria collector and radio control hobbyist alike. The Jagdpanther (German: “hunting panther”) was a tank destroyer built by Nazi Germany during World War II based on the chassis of the Panther tank. Many military historians consider the Jagdpanther to be one of the best tank destroyers of the war due to the combination of the 8.8 cm KwK 43 of the Tiger II and the proven Panther chassis. This fantastic scale radio controlled replica from Heng Long looks great and is feature packed. The highly detailed finish adds to the realism and the included commander figure completes the model perfectly. The tank fires plastic bbs and is the upgraded version with a built in real smoke generator and sound effects. Sound effects include emulation music, motor start-up, engine, machine-gun and cannonball when it fires a bb. These tanks look great, straight from the box with the decals added and the accessories glued on, but for the real millitary enthuiast, because of the high level of detail on these models, they make the perfect ‘blank canvas’ for custom paint jobs, so that you can create a model that looks exactly like a real tank, complete with battle scars. If you do this, make sure you submit your photos after the project is finished. These tanks are supplied with a choice of crystals so that up to three of them can be used at the same time to re-enact battles, to add to the fun provided by these models. If you fancy something different from a buggy or an rc car. Have you thought about trying your hand with our range of rc tanks. We’ve just posted some new photographs of the Panther G Professional, the best spec’d tank in our range. This fantastic scale radio controlled replica from Heng Long looks great and is feature packed. The tank fires plastic bbs and is the pro version with metal tracks and parts, a built in real smoke generator and sound effects. Sound effects include emulation music, motor start-up, engine, machine-gun and cannonball when it fires a BB. Please note this tank comes in two different finishes, camo and grey.